Corbel #5 = 4" deep x 5" wide x 8" high. 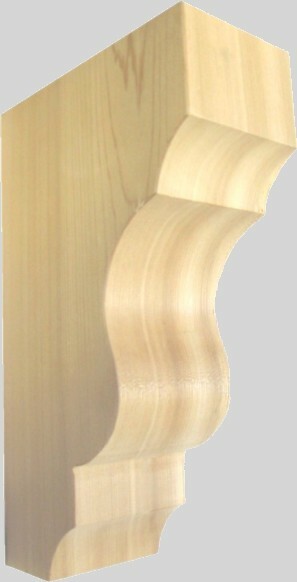 Price is for laminated pine. Available in other woods. 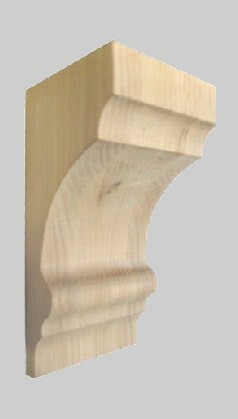 Corbel #6 Price is for laminated pine. 4-1/2" deep x 5-1/2" wide x 8-1/2" high. Unfinished pine shown. Available in other woods. 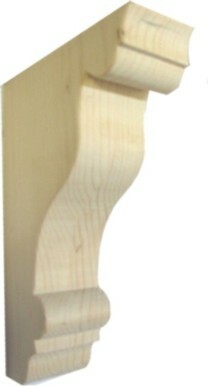 Corbel #10 Price is for laminated pine. 7" deep x 5-1/2" wide x 10" high. Unfinished pine shown. Available in other woods. 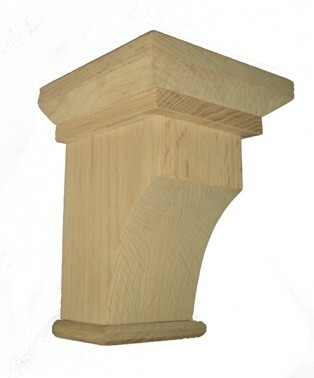 Corbel #44 Price is for laminated pine. 6-1/2" deep x 2-1/2" wide x 10" high. Unfinished pine shown. Available in other woods. 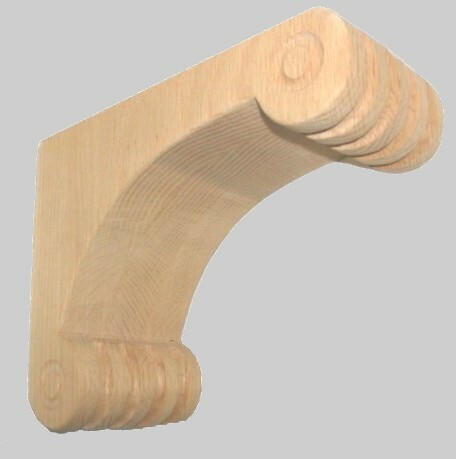 Corbel #25 Price is for laminated pine. 5-1/2" deep x 3-3/4" wide x 12" high. 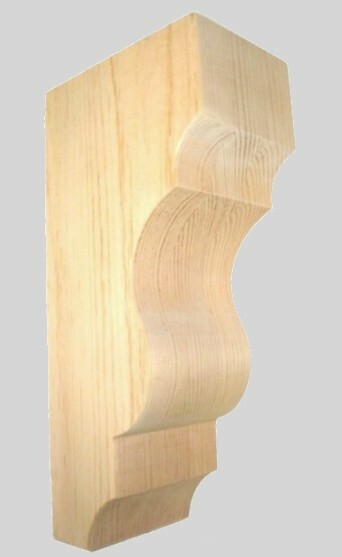 Unfinished shown in Pine.